Bacteria and other microbes are often thought of as sources of disease, but in fact many play an essential role in keeping you healthy. Your body contains trillions of microbes, most of which are beneficial. 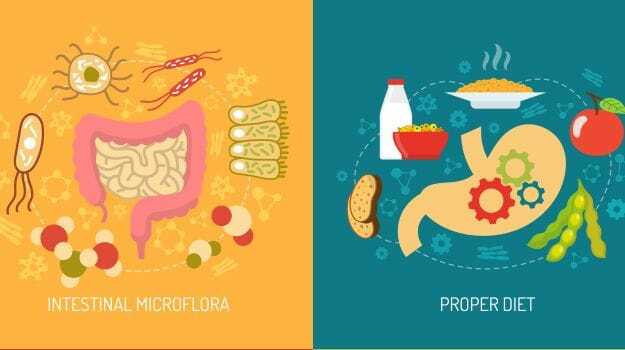 The most dense microbe population is in your gut, where they play a critical role in digestion, immune function and weight regulation. Studies have associated microbes with a lower incidence of cancer, heart disease, liver disease, diabetes, asthma, depression, autism, irritable bowel syndrome, colic, Parkinson's and many allergies. However, much more research is required to be certain of their role in keeping us healthy. What you eat isn't just nutrition for you, it also feeds the trillions of bacteria that live in your gut. Every person is different, but if you want to improve your digestion, lose weight or look after your general health, there are some broad principles that apply to all. Eat a wide range of plant-based foods. A healthy gut has a diverse community of microbes, each of which prefer different foods. Vegetables from the sunflower family (artichokes, radicchio, lettuce, tarragon, chicory and salsify) and the lily family (leeks, chives, shallots, onions, garlic and asparagus) are particularly helpful to gut bacteria. Eat more fibre. Most people eat less than they should. Fruit, vegetables, pulses, nuts and wholegrains feed healthy bacteria. Avoid highly processed foods. They often contain ingredients that either suppress 'good' bacteria or increase 'bad' bacteria. Probiotic foods, such as yogurt and kefir, might encourage more microbes to grow. Choose extra-virgin olive oil over other fats when you can. It contains the highest number of microbe-friendly polyphenols. Antibiotics kill ‘good’ bacteria as well as ‘bad’. If you need antibiotics, make sure you eat lots of foods that boost your microbes afterwards.